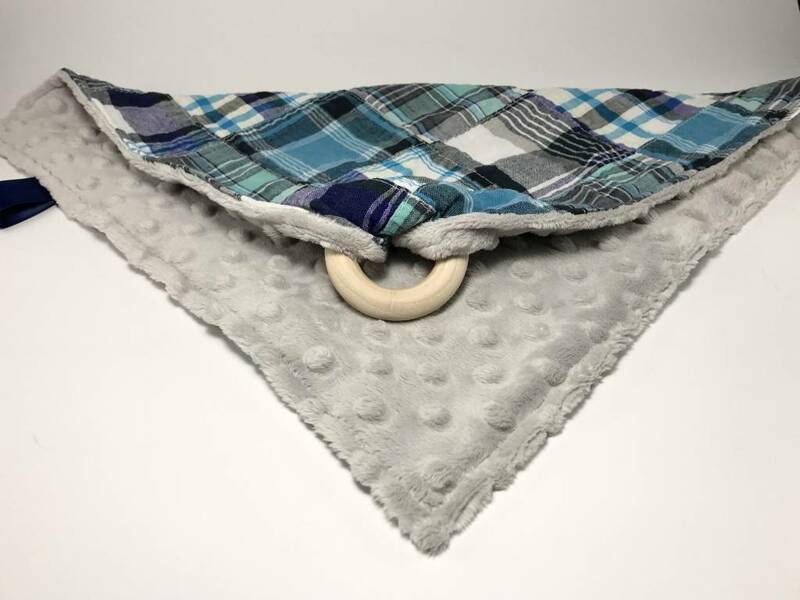 A lovey and teether all in one. Made from high end designer cotton and backed with super soft minky dot fabric. All natural wooden teething ring snaps on and off for easy cleaning. 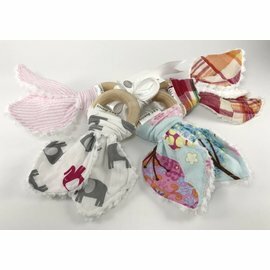 Lovey also has a ribbon loop to attach a toy or hang on your car seat or stroller. 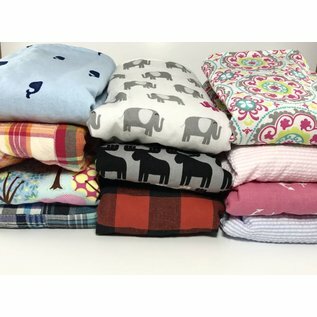 Choose from several fabric prints. K&E Burpies was started in early 2013. I was a mother of one, with another on the way. I had to move my oldest out of her crib in order to prepare for the new baby, so I decided to make her some fabulous toddler bedding, window treatments and pillows to go with her new “big girl room”. Once her room was ready, I still had lots of cute fabric left over. My second daughter was due in August and we found out she would be born with a cleft lip and palate. 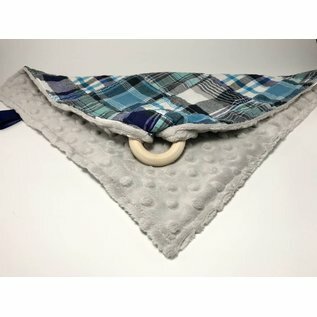 So, between my nesting and anxiousness about having a cleft baby (which I was told would drool A LOT) I started making burp cloths! In my mind, I couldn’t have enough. I was sewing up a storm! 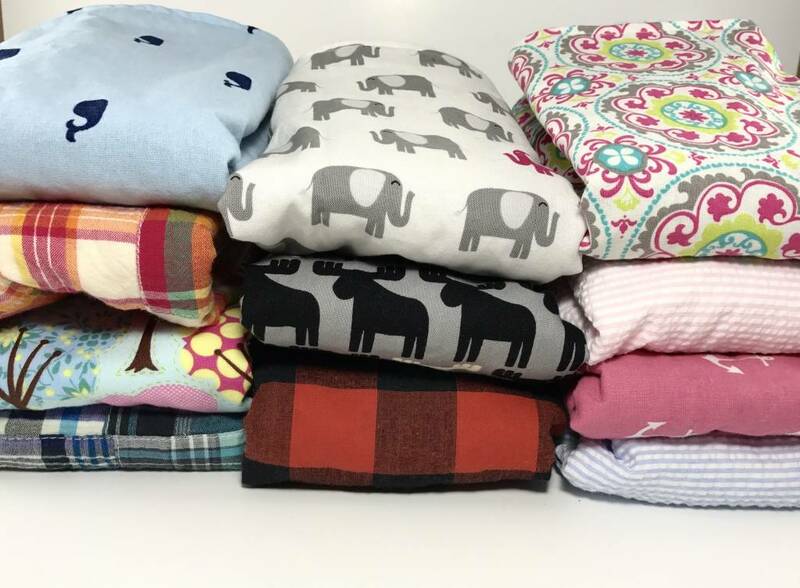 I also had five other friends that were due with babies the same summer, so I handed out my burp cloths for them to test out and make sure they liked them and would be good enough for my daughter. After handing them out, my friends were asking for more and then they started asking me to make them for their friends that were having babies. It just took off! As my daughter grew, so did her needs and so did my product offerings. 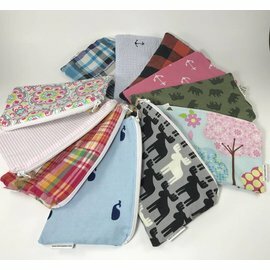 Now K&E Burpies offers, burp cloths, bibs, teethers, blankets, snack bags, lunch napkins, and drool/chew guards for baby carriers. Through our first year taking care of my youngest and her medical needs, came a sense of gratitude and desire to give back to the people that helped us out so greatly. Every year since her birth, K&E Burpies holds a Buy One; Give One event. 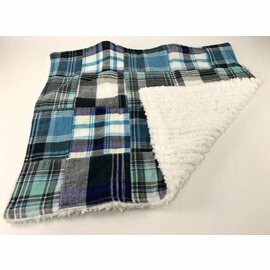 During this month long event, anyone that purchases a bib, burpie or lovie blanket, K&E Burpies matches their order and delivers them to Children’s Hospital Boston for the little ones staying there.